During recent years the combination of surgery, radiotherapy, and multiple chemotherapy in the treatment of patients with cancer has resulted in increased survival periods and, in some cases, complete cures. In children, however, the subsequent development of other and apparently unrelated malignancies has been observed 20 times more commonly than in a control group. 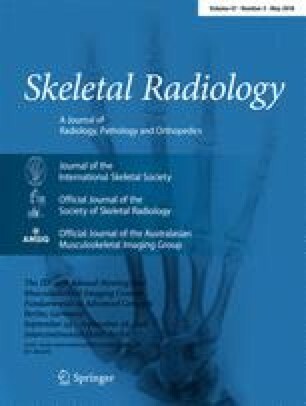 This paper reports the occurrence of chondrosarcoma of the femur in two children who had been treated successfully for malignant tumours of soft tissue. One of these tumours was a malignant fibrous histiocytoma in the muscles of the forearm; the other was a rhabdomyosarcoma of the cheek. The intervals between termination of treatment of these lesions and recognition of the chondrosarcoma were five years and 10 years, respectively. In addition to surgical and radiotherapeutic measures, both children had received high doses of chemotherapy.